It's almost April, the start of the school year in Japan, and here I am in count-down mode. Ray will be starting daycare next Tuesday, and I will be going back to work soon after that. So like all newly back to work mothers I am both dreading and immensely looking forward to leaving the little one in professional care, putting on nice clothes and doing something that doesn't involve wiping things every ten minutes with a damp cloth. Ray is ONE now. Like, he wasn't even in my belly a year ago. Ok he was mostly sort of comatose at this time and squinting at us with a godfather-like 'whatsamadda YOU' expression, but still he was already BORN. Now he's walking, like, with legs. His spindly weird stick legs have transformed into real working normal human limbs. It is all very strange. Also he is able to express his negative opinion about things, mostly when I try to put things in his mouth (baby food I have slaved over, medicine) or when I try to take things OUT of his mouth (dangerous things seem to be particularly delicious). happy birthday handsome! ... note- he refused to touch the cake, as clearly mom wanted him to eat it. 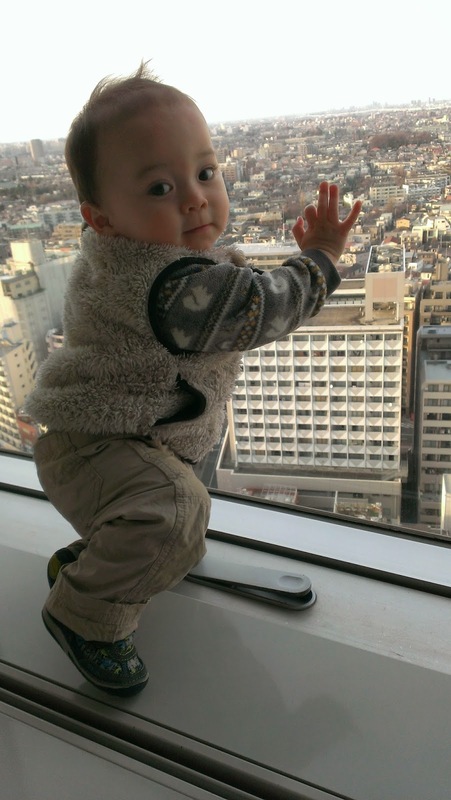 I was lucky enough to receive a generous full year of maternity leave from my company and the Japanese government. It was fantastic, I really enjoyed being with this guy and seeing him grow and change and learn new things every single day. ...Ok, I am sure many of you are wondering 'what did you DO with yourself that year?' hm. That is a good question. I really feel like I accomplished a lot, although that might not be the word you associate with stay-at-home momism. - daycare hunting . I visited twenty daycare centers, all but the last had no openings. - Apartment hunting . Always a pain. Hubs was busy with work so this mostly fell to me, so I strapped the baby on and viewed a lot of apartments. Note: mostly only shady places allow pets! boo. But abandoning Cally back to the streets was not really an option, she is 100% a fat lazy housecat now. But anyways, I found a nice place near the daycare, and the neighbors have kids close in age to Ray :) ... it's on the side of the tracks with the scary haikus though. I have found many more of them, if you think they're worth documenting. she also used Jedi mind tricks. - Dealt with crazy paperwork and bills in japanese concerning above things, including the social insurance for the maternity clinic, welfare, back-and forth with my company... oh so much paperwork. -Learned oodles of baby related vocabulary. 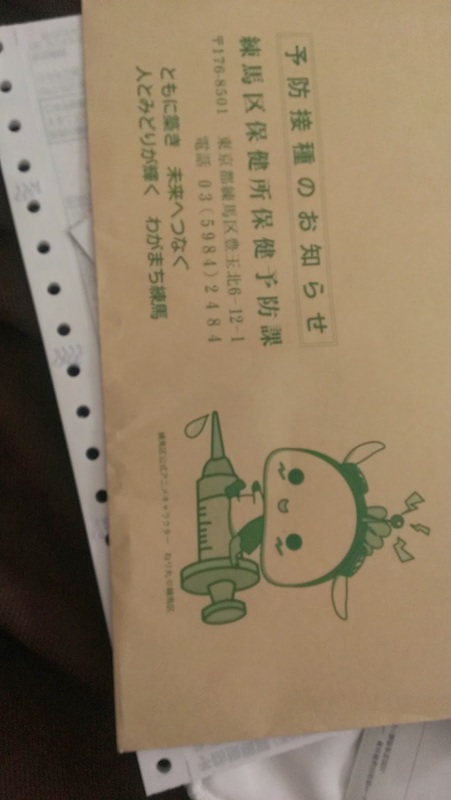 I didn't think I would ever need to know how to say Rubella in Japanese... but it's good to know what I'm getting him vaccinations for. Plus nursery rhymes and songs and baby words like 'tummy' .. it's pon-pon, in case you were wondering. what? you can't tell what this is just by the flying taco fairy picture? -Went back to america to show off Ray to his grandparents twice! As I didn't have to rush back to work, we stayed for nice long visits and got to see most of my family. Unfortunately for me, three out of the four 11 hour flights were solo, just me and the baby. Luckily Ray is very good at charming everyone and the last time I came back to Japan, there were two French guys next to me who were totally enchanted by the baby and basically adopted him during the flight, even though they spoke no English, or about the same amount as I speak French. Ray was holding their hand for about 7 of the 11 hours. It was both sweet and totally awkward!!!! haha. At six months this baby probably has more miles than you do. -Built a computer. Had technical difficulties. Opened it up to fix it, several times. It's like my Harley-Davidson. ;) Due to this finnicky behavior, Takeshi made me get him a premade laptop. pshh, no fun! It doesn't help that Ray likes banging on the computer like a large drum, while pants-less. Reminds me of a taiko festival. -Did another cover for Mom. Check out this illustration for her sequel to Gold Dust! I love this series, and not just because I'm biased. 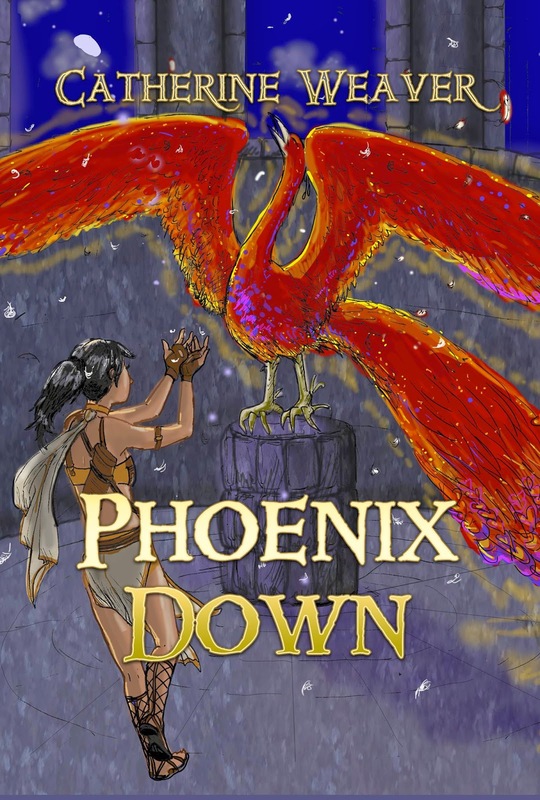 Phoenix Down will be coming out later this year. And... well. 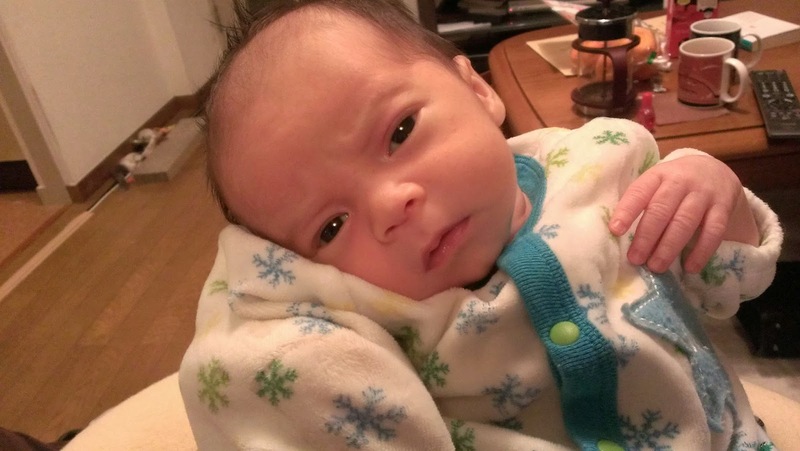 You know, all the usual day-to-day fantastic heart-warming, grueling, exhausting, terrifying, endearing, happy and stressful moments that come with keeping a baby alive, fed, entertained, healthy, mostly not crying, and borderline sanitary for a year. Seriously, this is a hard-earned accomplishment! I think year two might be even harder, because you have to do all the above roles PLUS disciplinarian and educator. And they still need their diapers changed! 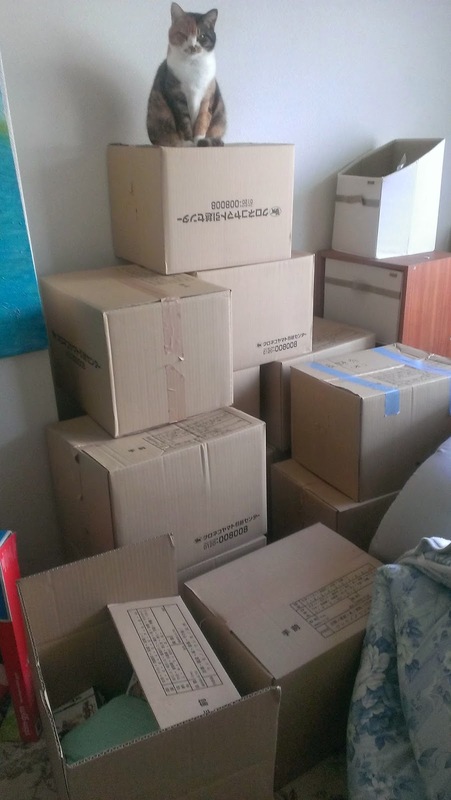 the first year: 9000 diapers. first there was explosive poo, then there was an increasingly gymnastic baby. So luckily Ray is off to school to have the pros tend to that. 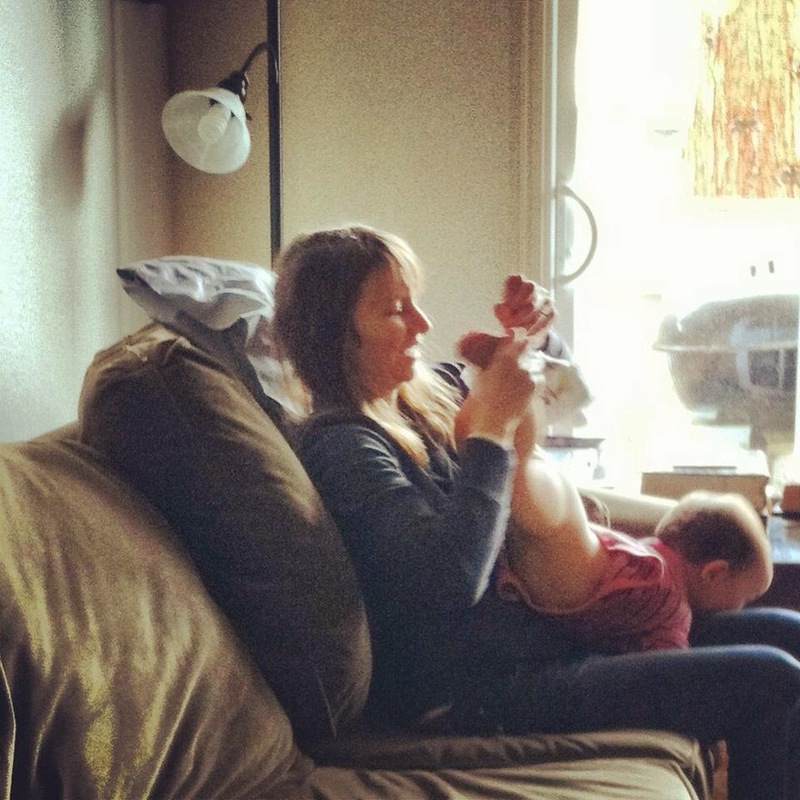 Will I miss being a stay at home mom? What, witnessing my child's endearing fascination with everyday objects, like putting caps on bottles and the magic of refrigerator magnets and the grin when he sees a key turn in a lock? but I will be fine... right?? .... tune in next time.... and wish me (us) luck! all of Nerima-ku is your oyster!